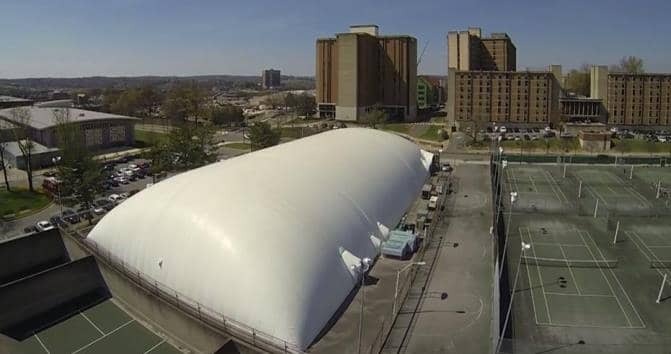 Installed in 1996, this Shelter-Rite Architectural Fabric dome houses six indoor tennis courts at the University of Tennessee in Knoxville. The Henry F. Morse recreational area is covered in Tedlar top finish for additional UV and weather resistance. This dome is still clean and bright over 20 years later.